July 11, 2013, 12:16 p.m.
By Jan Schaffer @janjlab July 11, 2013, 12:16 p.m.
You can read the full report online, but we’ve been pulling out some of the most interesting elements from it here at Nieman Lab this week. Today, a New Orleans public radio station tries to build up its news presence through collaboration. In New Orleans’ topsy-turvy world of journalism — where alliances shift, talent is raided, and a newspaper war is blossoming — WWNO public radio has, for the past year, steered a determined course. Informed by research and bolstered by a sense of opportunity, it is erecting, piece by piece, the components for an all-news format, complete with its first news director, hired in February. “WWNO has never had a news department or news director in its 40-year history,” said Paul Maassen, general manager of WWNO, which serves about 1.5 million people in New Orleans and across 11 parishes in southeast Louisiana. By moving WWNO’s jazz and classical music offerings to digital channels, Maassen created the window to do more news and features — what his audience said they wanted. Now, he is looking to add more local news and information. Propelled by a $102,000 Knight grant awarded last July, WWNO cut deals with Nola Vie, a two-year-old arts and culture startup, the Greater New Orleans Community Data Center, and The Lens, the investigative news nonprofit launched in 2009, which anted up $10,000 to help match the Knight funding. Now, Nola Vie turns its content into three WWNO features a week with Knight funds helping to pay freelancers. The Lens, known for its crowdsourced charter-school coverage, has held school-board election forums with WWNO, shared its enterprise stories, and participated in reporter debriefs with the station. It’s about to hire a producer-in-residence, embedded at The Lens, to help inject audio life into its many data-driven stories. The Times-Picayune’s announcements last year “just kind of underscored what we were doing,” Maassen said. Shortly after, he announced plans to build a nonprofit newsroom to be called NewOrleansReporter.org. But WWNO soon pivoted. A revised plan sought to “avoid duplication and build on existing resources” and opted instead for an expanded partnership with The Lens to cover government, education, crime, and flood issues. WWNO will do general assignment reporting and Nola Vie will contribute arts and culture. “It’s a thing where everyone does what they do best,” he said. “NPR was working closely with them on that,” said Russell Lewis, NPR’s Southern bureau chief who spent many months covering the aftermath of Hurricane Katrina. Lewis, who is now based in Birmingham but has been helping WWNO with the transition, said he had not seen this kind of collaboration anywhere else. NPR is also helping to convert the station’s website into more than a programming grid, Maassen said. The partners see these arrangements as win-wins. The emerging attitude among nonprofit news startups is that “it’s better to be ubiquitous than syndicated.” Impact and awareness, they say, trumps clickthroughs to their websites. “We want to be able to tell our funders: If it were not for your money, this problem would not be solved,” Beatty said. Airtime, in particular, really builds their brands: “We want people to hear The Lens on the air,” he said. For Nola Vie, the WWNO partnership means “we take our reporters and our copy and work with WWNO producers to turn them into on-air segments,” co-founder Renee Peck said. It’s a learning curve for the print reporters. They must be mindful to avoid what Beatty calls “those kind of small, head-slapping things” like saying “uh-huh” during an interview or drumming fingers on a table. In February, Maassen hired news director Eve Troeh, a Marketplace reporter, who had earlier stints as a New Orleans reporter and producer. She now must weigh when to do an interview and when to do a highly produced feature, with all the scenes and sounds that are public radio’s hallmarks. “When you start creating more local content, the audience expects that content to be better,” she said. She’s working hard to marry the station’s audio tech skills with journalism skills. In June, she worked with Nola Vie to produce Voices on Violence in response to the city’s Mother’s Day shootings that injured 20 people. In one-on-one interviews, people were taped talking about how they experienced violence in the city. Nola Vie, in addition to the podcast, also rendered the interviews as Q&As. Troeh takes heart that the station in June raised a third more than expected in a one-day mini-campaign for local-news funding. “We’re getting close to getting enough content, and it’s good enough where we feel we need to create space for it,” she said, in addition to the local-news cutaways in the national programs. “It feels like we are really pioneering this in a way,” Peck said. “The overall product is very good for the community.” Nola Vie launched in 2009 with a formal partnership with Nola.com but found WWNO’s overture appealing. The site’s other co-founder, nonprofit executive Sharon Litwin, had reported for BBC radio earlier in her career and now does regular Notes from New Orleans radio stories for WWNO. In any partnership, Peck said, “What you try to police is that you get your credit for the story and links back.” Increasingly, however, Nola Vie’s founders want to engage its stakeholders in a four-to-five minute story rather than posting its content on a partner site that wants “people to drop in for just a nano-second” so they can count the traffic. 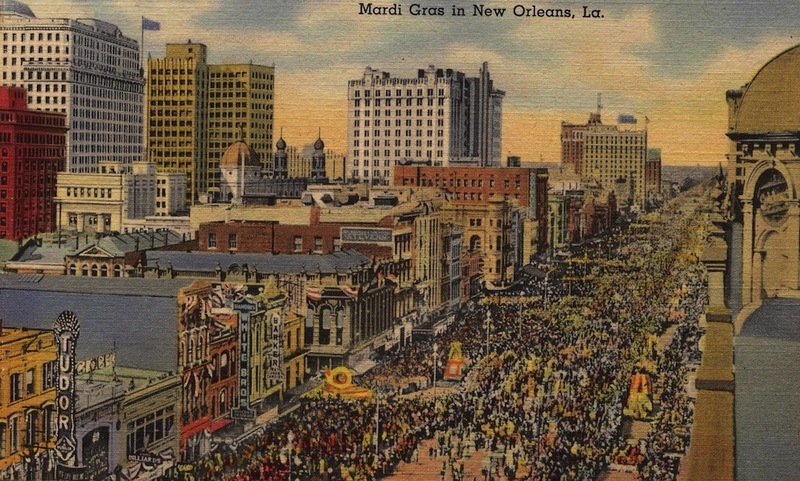 Photo of old New Orleans postcard by Infrogmation used under a Creative Commons license. POSTED July 11, 2013, 12:16 p.m.
Schaffer, Jan. "In New Orleans, public radio, local startups, and more are teaming up for the news." Nieman Journalism Lab. Nieman Foundation for Journalism at Harvard, 11 Jul. 2013. Web. 24 Apr. 2019. Schaffer, Jan. "In New Orleans, public radio, local startups, and more are teaming up for the news." Nieman Journalism Lab. Last modified July 11, 2013. Accessed April 24, 2019. https://www.niemanlab.org/2013/07/in-new-orleans-public-radio-local-startups-and-more-are-teaming-up-for-the-news/.